Gosh, I have so enjoyed this month’s challenge, even though it was a particularly tough one. Who would have thought you could make a delicious chocolate cake for £1 or under? I wasn’t at all sure it was possible. Well, as you will see from the following 24 thrifty homemade chocolate cakes in this month’s We Should Cocoa, not only is it possible, but there is more than one way to make a frugal but delicious chocolate cake. 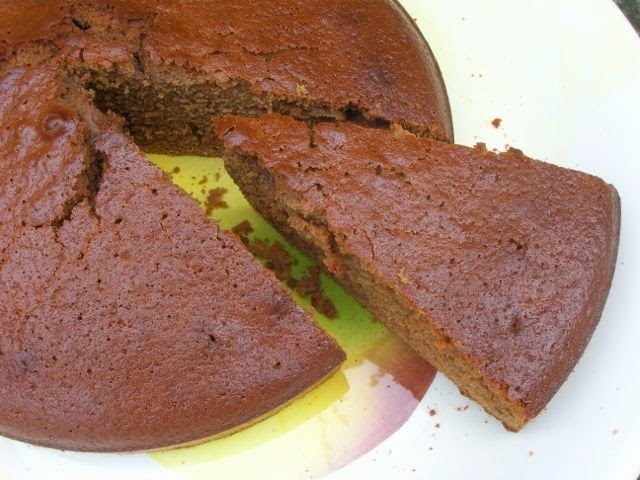 This quick and easy malted hot chocolate cake is not only a frugal one, but it’s delicious too. It’s made with drinking chocolate and Horlicks for flavour and includes both free range eggs and organic sunflower oil. The ingredients cost less than £1 and it produces a decent sized 8″ (20cm) round cake.